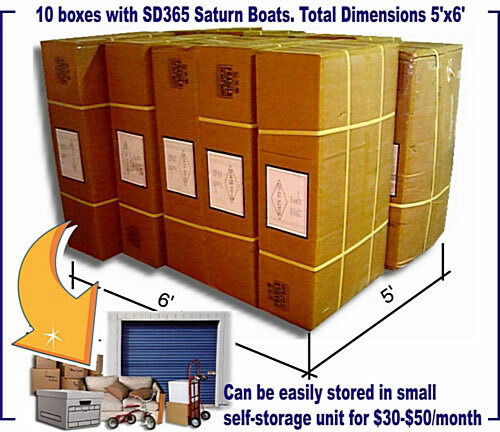 Storage consideration for inflatable boats, rafts and kayaks. Minimum wholesale order in only 10 boxes for first time dealers. That will easily fit into a small 5x5' self-storage unit available for around $30-$50/month. Once you have paid for the order, just print FedEx shipping labels on-line, go to the storage, attach to them to the boxes and drop off at the closest shipping outlet.